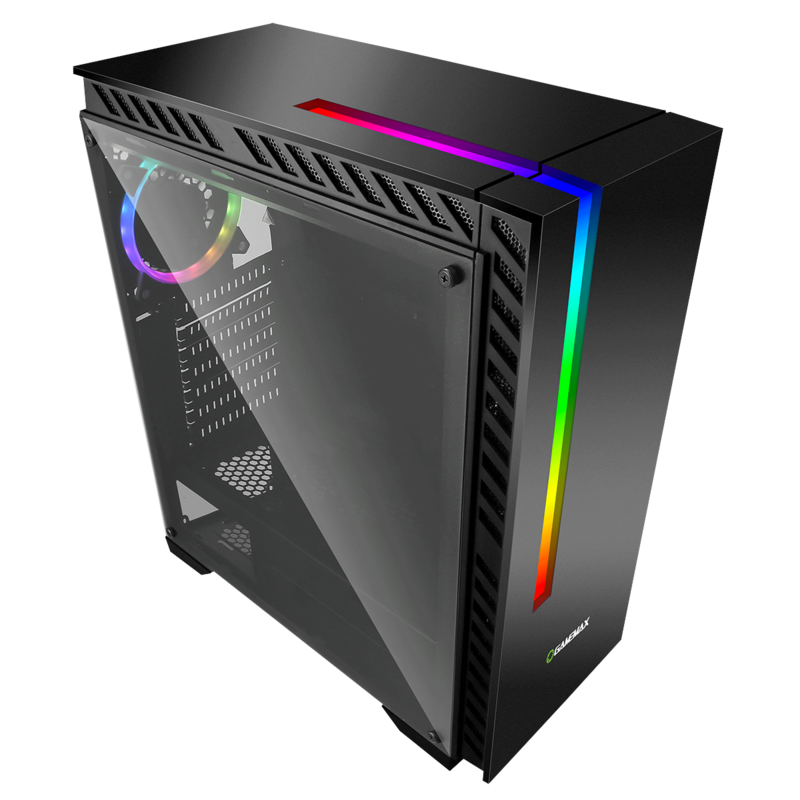 Brand new for 2018 Game Max have introduced the Chroma RGB Gaming Case with a full acrylic side panel. Setting the standard is the RGB strip light running from the top, right down the front of the case. Following suit are four Single-Ring Spectrum Halo fans, one on the front, one on the rear and two on the top, with 50+ colour modes and LED speed selections to choose from. With an RF remote the Chroma offers a unique spectacle of light with a variety of RGB features that would enhance any build and truly impress. The Chroma brings great SSD support to the table, with 3 x SSD Slots available and a cradle included to get you going straight away. Access these easily with the easy-attach side panels that simply slot into place. 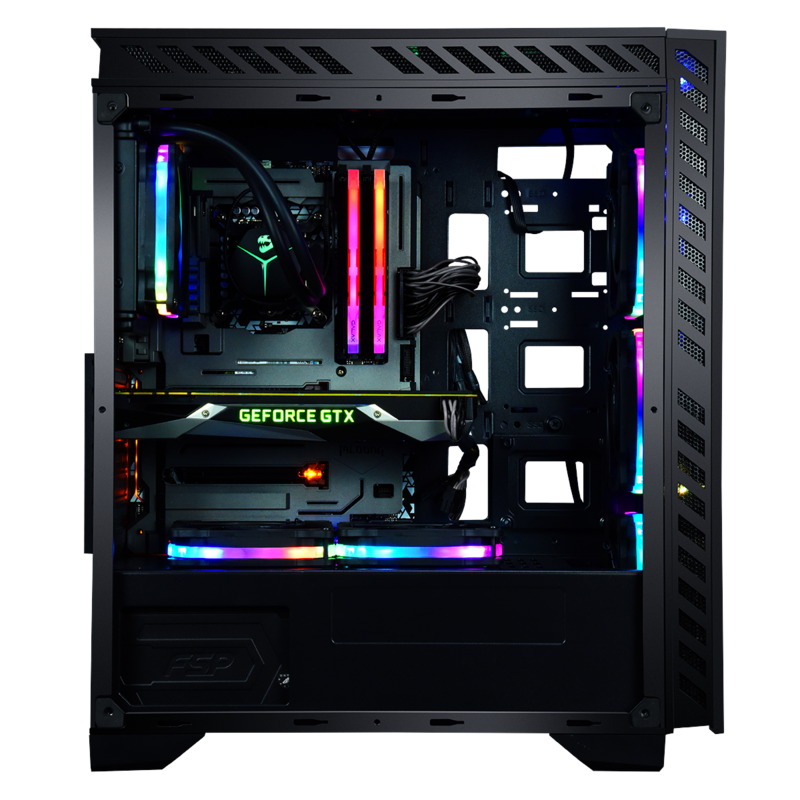 RGB Fans – Four Single-Ring Halo Spectrum fans are included on this great case to take it beyond performance. 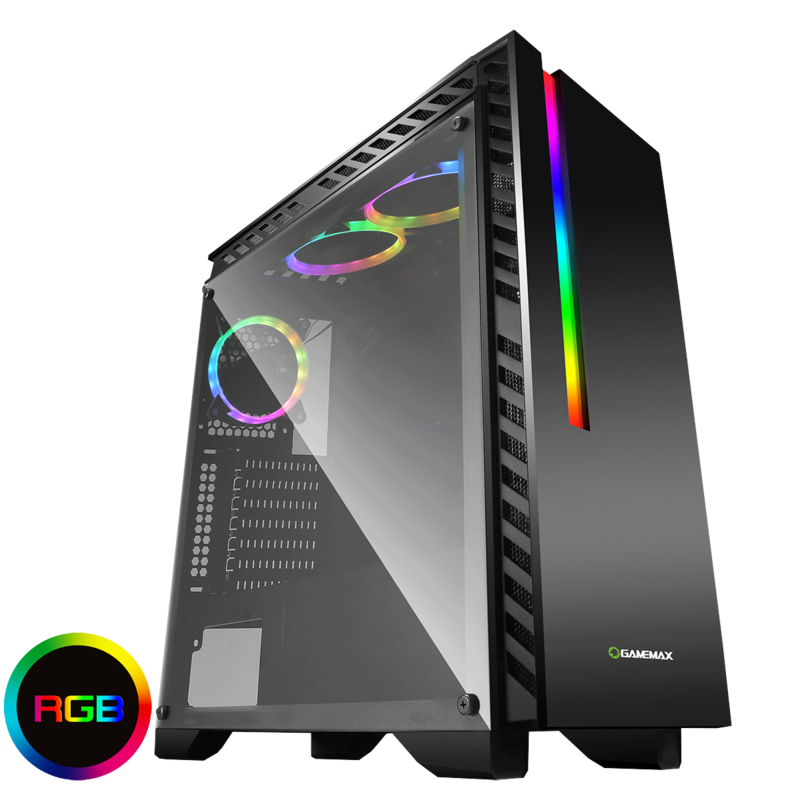 Acrylic Glass Side Panel – The Chroma comes with a full acrylic side panel to show off the final build and all it’s glory. 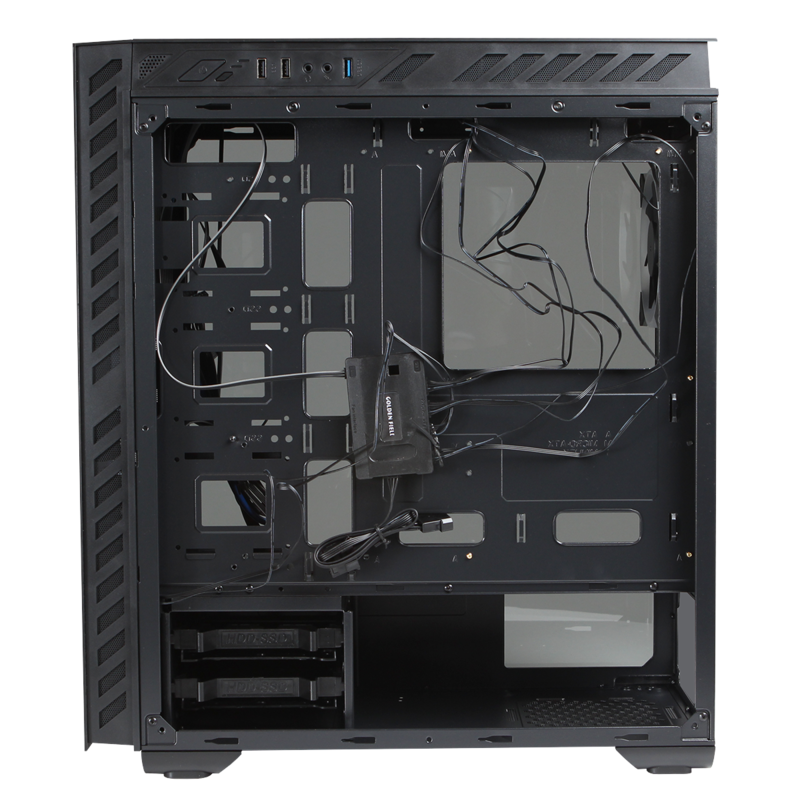 Exceptional Cooling – The Chroma supports up to 10 fans to ensure maximum performance and significantly reduce the chance of overheating..
I/O Ports – 2 x USB3.0, 1 x USB2.0 and HD audio are conveniently located on the top side of the case for easy access.